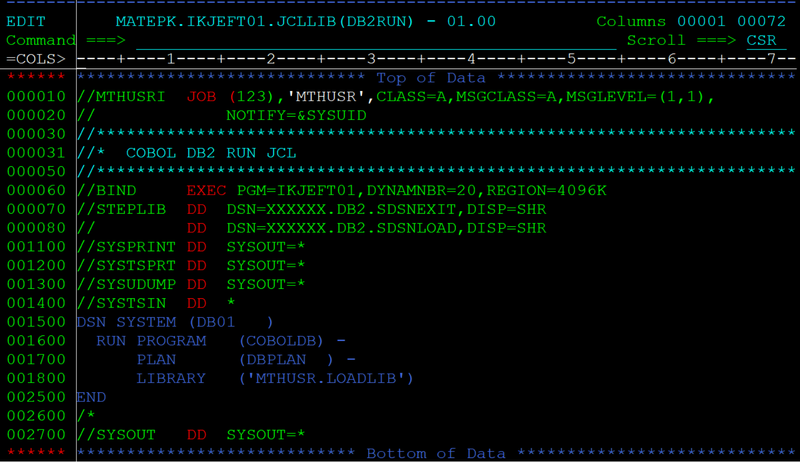 IKJEFT01 utility used to run the cobol + db2 program. The only prerequisite before executing the program is, the program should have bounded successfully to the plan in the system. Below example to execute program COBOLDB to plan DBPLAN using IKJEFT01 utility. Change the STEPLIB libraries, SYSTEM, PLAN and LIBRARY according to the system setup and change PROGRAM name with the program that is running.